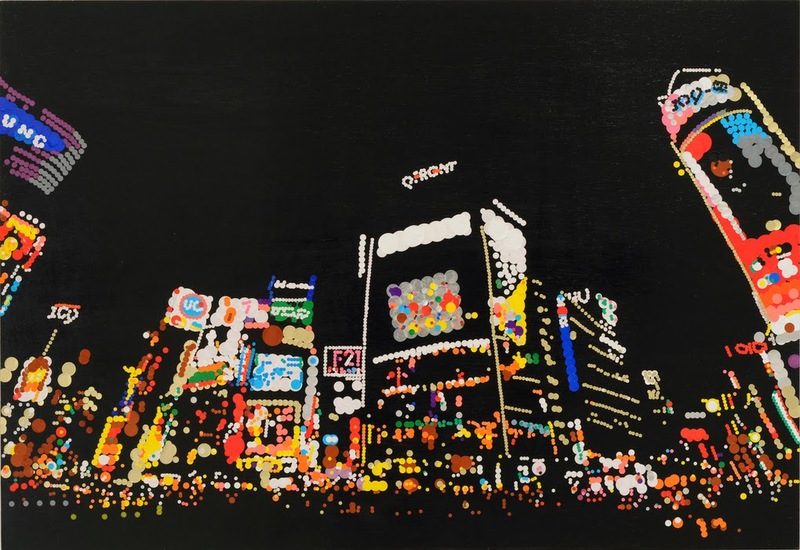 Yukino Ohmura , the Japanese artist created beautiful works depicting the night scenes of Tokyo by using coloured dot stickers. "These stickers that I have used in my artwork are very popular in Japan, and almost everyone has used them during elementary school," says Ohmura to The Verge. 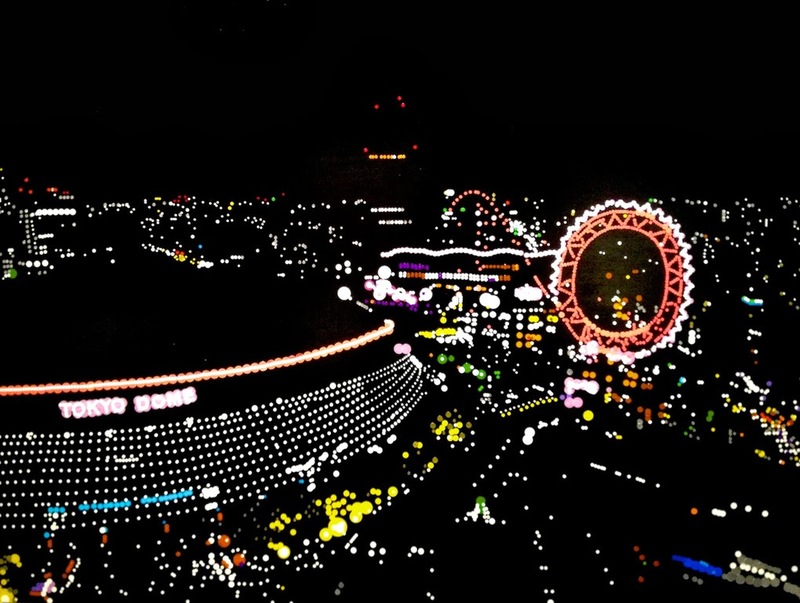 "Also, stickers are inexpensive, which I feel creates an interesting contrast by expressing the glamour of the nighttime city through cheap material."